Green curry chicken(Sri lankan) with green chillies and grated Coconut. Green curry chicken(Sri Lankan)with freshly grated Coconut, is inspired by the ever popular Thai green curry. use your basic curry ingredients to make a simpler green curry dish. 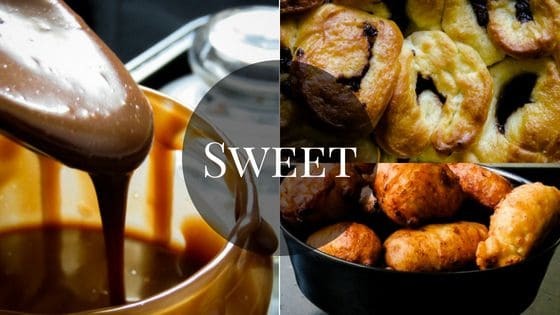 I hope you enjoyed my daily breakfast themed recipes that went out in January. unfortunately, I couldn’t post on the very last week, I had a few family emergencies with the little ones to sort that kept me away from blogging. If you are looking for ideas for your morning meals, you’ll find a few of them in last month’s recipes. Among them, my cheese stuffed french toast in 30 minutes and Sri Lankan tempered chickpeas seem to be popular at the moment, go have a look you might like it. I hope. This month, I’m getting back to my regular posting, hopefully, I might be able to post twice a week, I’m still on with my new year resolution for the blog to reach a wider audience which reminds me, here’s another update on how it’s doing, my January page views had increased to 13,000! What’s baffling me now is most of my readers come from outside of Sri Lanka and for the life of me I can’t figure out a way to get them to take a peak at the blog. Just 2% and I’m pulling my hair on that thought. I’m open to constructive criticism my fellow Sri Lankans. Sri Lankan green curry chicken. About this Green curry chicken which is based and inspired from the Thai green curry is something of an accidental dish. When I started prepping this dish WAS supposed to take the form of the latter but soon realized, I was missing a few ingredients which led me to wonder if I can recreate my own version of the green curry paste with much more easy to find ingredients. And that my friend is how this dish came to be. Please keep in mind I’m not trying to replace the ever popular Thai curry with this dish. 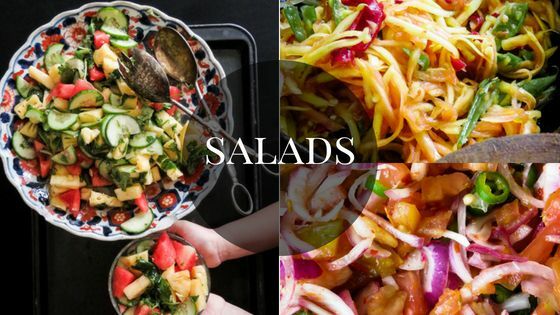 There is a clear difference, this is an idea that came up and I ran with it, I’ve made the dish a few times, including my mom who mentioned it was pleasantly different. What goes well with this chicken curry? Rice goes well with this dish, you can also have Pitas, roti and surprisingly idli and dosa. 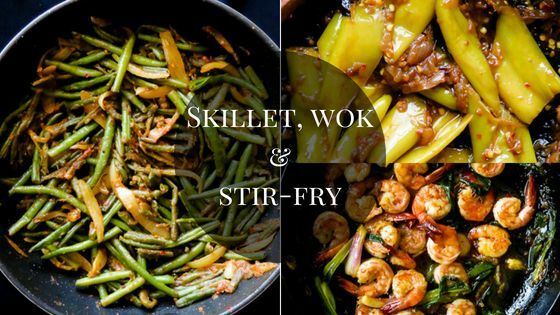 If you think these are difficult and time-consuming, use my favorite carb, Bread or buns, add the green curry chicken with your favorite toppings, Onions, cilantro, tomatoes and a dab of spicy sauce and you’ve created your own street food at home. As I found out, even with four chillies the dish just wasn’t spicy enough, I’m still working on that and will update when I find the correct amount to give heat to the dish. 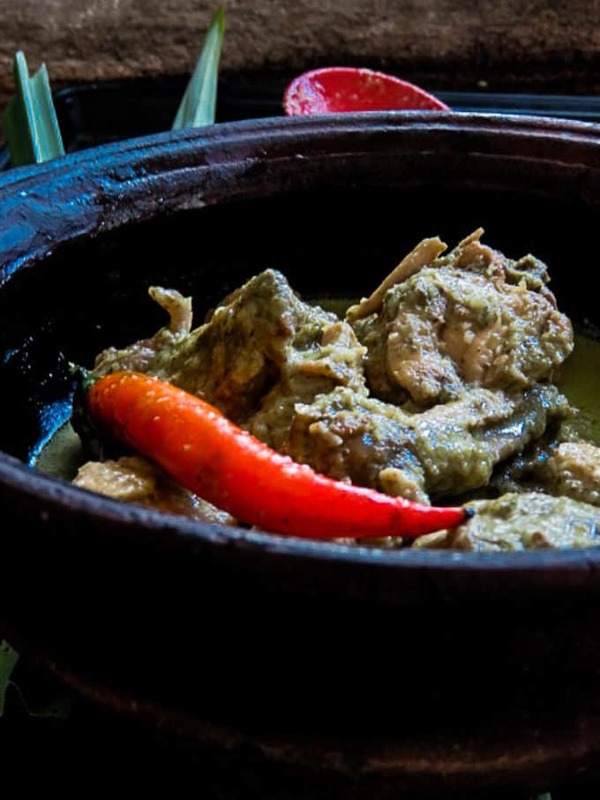 What do you like about this Sri Lankan green curry chicken with grated Coconut? Because I’m using freshly grated coconut, there’s a soft grainy texture coating the chicken, it’s creamy and different from your usual chicken curry, the dish is mildly spiced and goes well with all the other ingredients incorporated, my one regret is not having a handful of fresh cilantro on hand. hmm.. maybe it’s time to grow some. 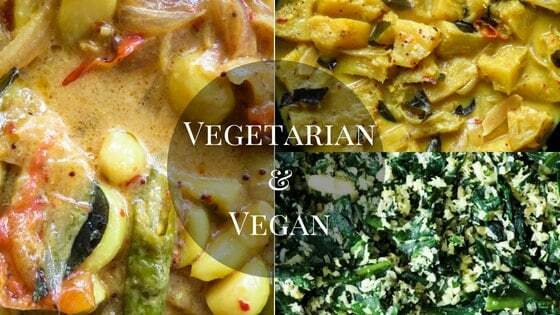 What vegetables can I add in the green curry chicken? You can definitely make changes in this recipe by adding vegetables into it, egg-plant, beans, peas, cilantro and Tomatoes can be used to enhance flavor. just remember to keep these ingredients to a minimum. 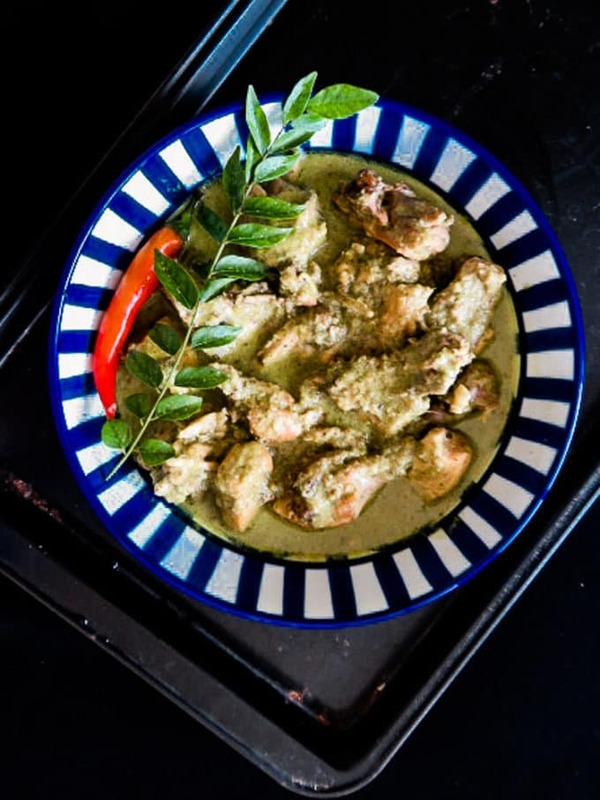 Recipe- Sri Lankan green curry chicken. Notes- The following green curry is mildly spiced, even with the four or five green chillies I’ve added here the creamy Coconut seem to absorb the heat, for a spicier version, I suggest adding a much more fiery version or extra green chillies to increase the heat. The color to the curry comes from the curry leaves and green chillies, make sure you add these two ingredients more for better results. 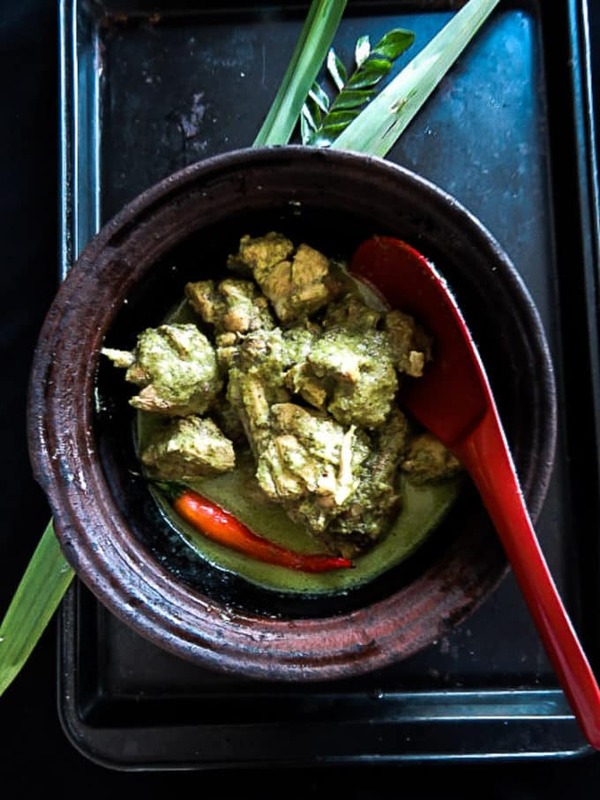 Before you make the green curry paste, cut the chicken breast into cubes and transfer the meat into a bowl, marinade the chicken in half a teaspoon of Salt and leave it for Ten minutes. 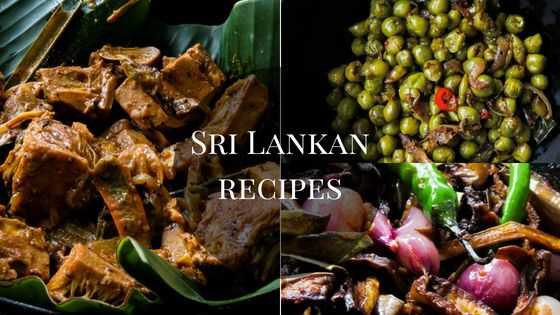 How to make the Sri Lankan green curry paste. Add the curry leaves, Ginger, Garlic, sliced Onion, green chillies, lemon grass and grated Coconut into a blender. Blend the ingredients into a semi-liquid paste. Place a pan over medium heat and pour in the curry paste you just made and cook for two minutes while mixing the paste constantly. You’ll notice the liquid and paste will reduce and take a slightly oily texture, maybe 2-3 minutes, once this happens, turn in the chicken pieces into the pan and mix the paste into it. Cook for five minutes while tasting to make sure there is enough Salt and flavor. By the end of this process, you will be left with a dry chicken curry. Pour the water into the chicken green curry and. cook for another 10-15 minutes under medium fire until the chicken is cooked with a little gravy. You can serve this dish with Rice, bread, idli or noodles.